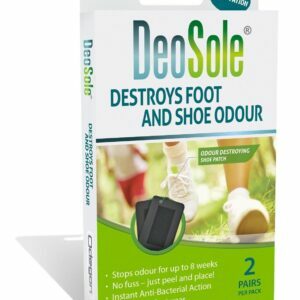 For dry cracked heels and feet. Cracked heels and feet are due to a loss of moisture from the affected area. Exposure to dry conditions will cause a loss of moisture that results in fissures or cracks developing. 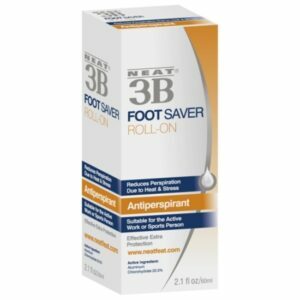 The Neat Feat® Heel Balm is an oil based product thereby enabling the balm to remain over the affected area. The active ingredient rehydrates the skin and repairs skin damage with noticeable results within 5 days. Urea: The body’s own natural moisturiser which is commonly found in the skin, but easily lost when skin is damaged. Replenishing the lost urea softens the skin, accelerates the healing process and hastens the removal of dry, scaly skin. Lanolin: Offers long-lasting hydration and a reduction of skin roughness through deep penetration of the skin. 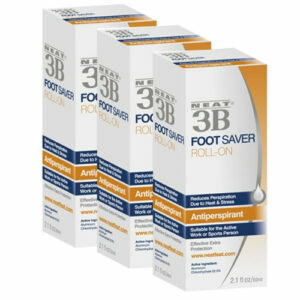 Designed to be used by anyone suffering from damaged, dry and cracked skin of the heel or foot. 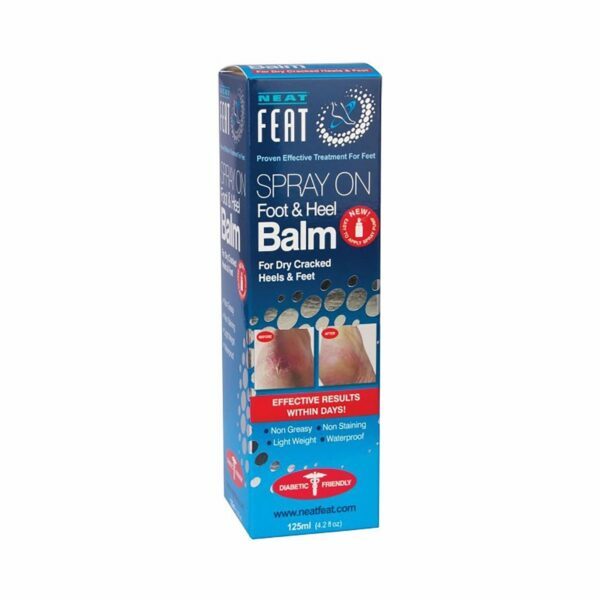 Simply spray onto dry, cracked and thickened skin on feet. Apply twice daily, morning and night. Water, Glycerin, PPG-17/IPDI/DMPA Copolymer Phenoxyethanol (and) Methyl Paraben (and) Ethyl Paraben (and) Propyl Paraben (and) Butyl Paraben. Urea 30g/100g.